The UK arm of French oil behemoth Total has changed its external PR support as comms in the oil industry faces increased scrutiny after the BP Deepwater Horizon disaster. Total UK, the UK refining and marketing subsidiary of the global oil producer, has awarded MHP Communications a six-figure retained brief to support corporate and brand PR. MHP, formed last month by the merger of Mandate, Hogarth and Penrose Financial, won the account after a competitive pitch. Total UK repitched the account after its contract with previous incument Text 100 came to an end. It is believed about ten agencies drew up submissions for the retained brief, with four being invited to pitch. 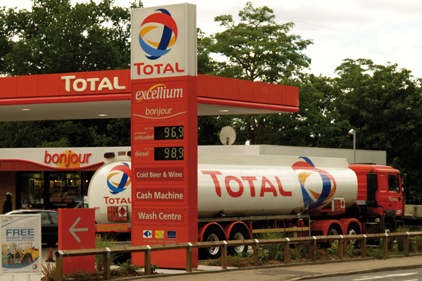 The account encompasses corporate reputation and PR support for Total’s retail and lubricants division. MHP has been asked to raise the profile of various customer-facing initiatives, as well as CSR work and promoting the company’s ‘core values.’ The agency will report to Iain Cracknell, head of corporate comms at Total UK. Field explained that Total already has strong representation in trade media and the B2B space. She said the agency will look to widen the firm’s audience and help tailor the firm’s narrative to those new audiences. The agency’s work will include supporting a number of community-based initiatives that are currently in the planning stages.